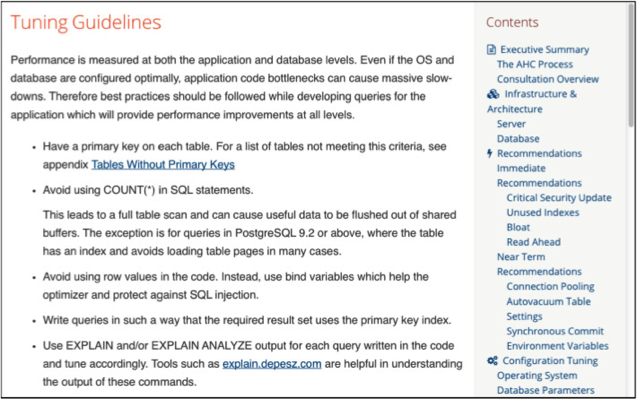 An Architectural Health Check includes a three-day, detailed review of your EDB Postgres Advanced Server database instances. During the AHC, we perform a detailed review of your database environment and understand the current and planned operations of your database system and business application. This process drives our recommendations to improve the database system’s performance, and ensure a robust and healthy business application with a scalable structure that’s ready for today and tomorrow.